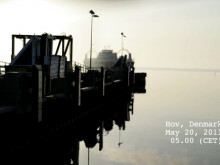 Cavotec's innovative automated mooring system, MoorMaster, recently won the International Bulk Journal’s Award for Safety in Bulk Handling (Marine) sponsored by DNV. This is the latest in a series of awards for the unique technology. Dedicated exclusively to the maritime dry bulk industry, the IBJ’s annual awards recognise achievements by individuals and companies that improve efficiency, safety and environmental protection. 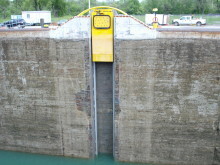 According to the award citation: "Judges were impressed by Cavotec's MoorMaster system installed in Port Hedland, Australia, as risk to personnel from mooring incidents is completely removed. Snap back related injuries as well as injuries from 'man handling' lines are now a thing of the past." 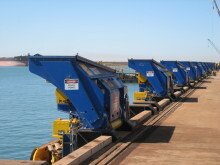 The Port Hedland application, at the Utah Point dry bulk loading facility, entered service in 2010. 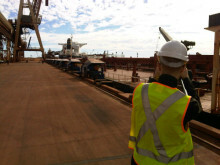 Work is underway to install MoorMaster units at a second berth at Port Hedland. 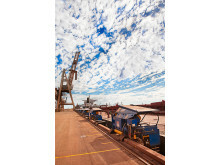 MoorMaster was also a key component in the Port Hedland and Pinc Group’s successful entry for the 2011 Western Australia Engineering Excellence Awards. 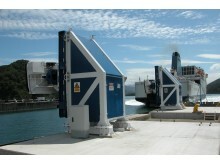 The entry went on to win the same category in Australia’s national Engineering Excellence Awards. 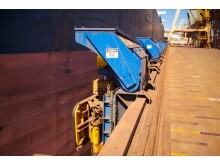 The technology also won the Australia Bulk Handling Award 2011 for Best Practice in Occupational Health & Safety. MoorMaster is a vacuum-based automated mooring technology that eliminates the need for conventional mooring lines. 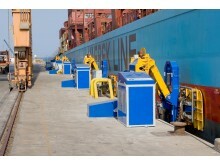 Remote controlled vacuum pads recessed in, or mounted on the quayside, moor and release vessels in seconds. 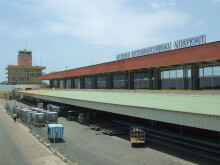 In addition to improved safety and productivity, the technology also has the potential to deliver infrastructure savings in many applications. 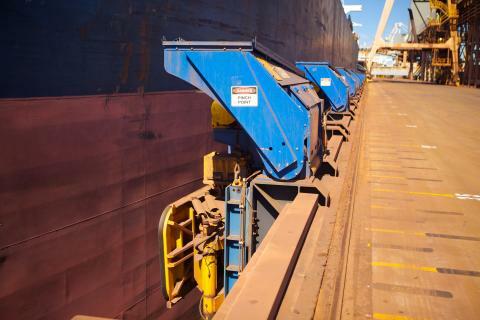 The technology has performed more than 40,000 mooring operations to date at bulk handling, ferry, container ship and lock applications around the world.